Says Kabir, Listen with care, Where your faith is, I am there. Meditations, Mindfulness and other spiritual activites help you calm the waters of emotions so that we can understand our own selves, our own life purpose. How you meditate , what you meditate on is not relevant as long you are connected within. Love is the only thread binding you and every person, being and object in this universe the way you treat them is how you are treating your self. 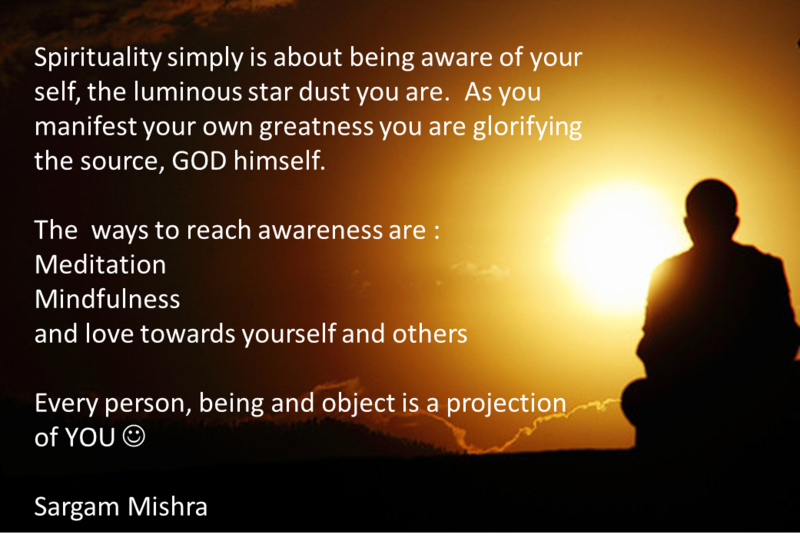 The entire universe is your projection.